Are you almost ready to get into the festive spirits? 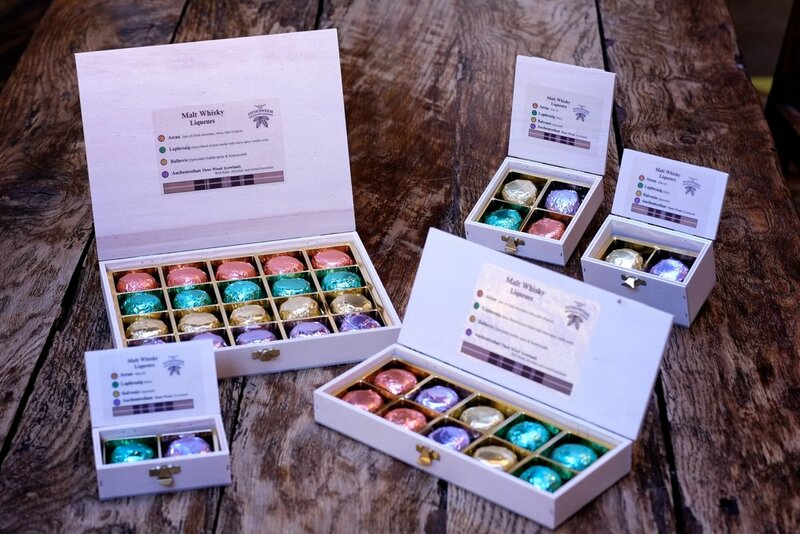 May we present our collection of handmade single malt whisky liqueurs and Scottish gin liqueurs - a collaboration between the Pittenweem Chocolate Company and our Belgian chocolate makers - beautifully arranged in their own wooden gift box. Choose from an assortment of sizes - available in our village shop or online - and have them delivered to your door anywhere in the world! Take a closer look and experience the spirit of Scotland. An original, artisan gift for the whisky, gin or chocolate connoisseur.